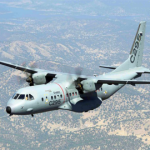 Canada has selected Airbus-built C-295 to serve as the next fixed-wing search-and-rescue aircraft and replace the country’s fleet of aging C-130s and Buffalo planes under a potential $2.3 billion contract, Defense News reported Wednesday. David Pugliese writes Harjit Sajjan, Canada’s defense minister, and Judy Foote, the country’s procurement officer, are set to announce the contract award Thursday at the Royal Canadian Air Force base in Ontario. Other competitors for the FWSAR project included Leonardo-Finmeccanica and Embraer, industry sources told Defense News. Airbus’ defense and space business has collaborated with CAE (NYSE: CAE), Pratt & Whitney’s Canadian arm, L-3 Communications (NYSE: LLL) subsidiary Wescam and PAL Aerospace for the project. The Canadian air force expects Airbus to complete aircraft deliveries by 2023 under the deal that would also include in-service support, the report added.